Are you ready for the evolution of pool cue tips? If so, it's time to step up to Kamui. Made in Japan with some of the world's finest pigskin, Kamui tips truly play like no other, allowing for excellent cue ball control and maximum chalk retention. 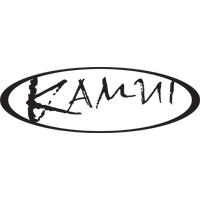 In addition to tips, PoolDawg is also proud to carry Kamui's Gator Grip tip tool and Kamui Chalk (both the original 0.98 and new 1.21 blends).